Be part of something exciting and different at PA Karate. 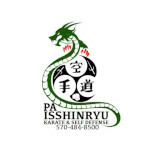 Pa Karate offers Martial Arts programs for children 3 and older, teen, and adult. Our family oriented school provides our students with the focus and discipline they need, while instilling unparalleled self-confidence. All of students experience a modern curriculum that puts them on the road to becoming Martial Arts athletes. Never boring, we offer Karate classes, as well as our Hyper Martial Arts program, and awesome Hyper Fight Club where students truly learn how to defend themselves through sparring techniques. For the adult student, we offer our Hyper kick boxing program that teaches great technique in a fast paced, sweat dripping exercise program that everyone can enjoy.